– To make teriyaki sauce stir together soy sauce, mirin and brown sugar in a saucepan. – Bring to a boil, reduce heat and simmer, and cook, stirring occasionally, until slightly reduced and syrupy, about 10 minutes. Remove from heat, stir in ginger, and set aside to cool. Meanwhile, preheat grill. 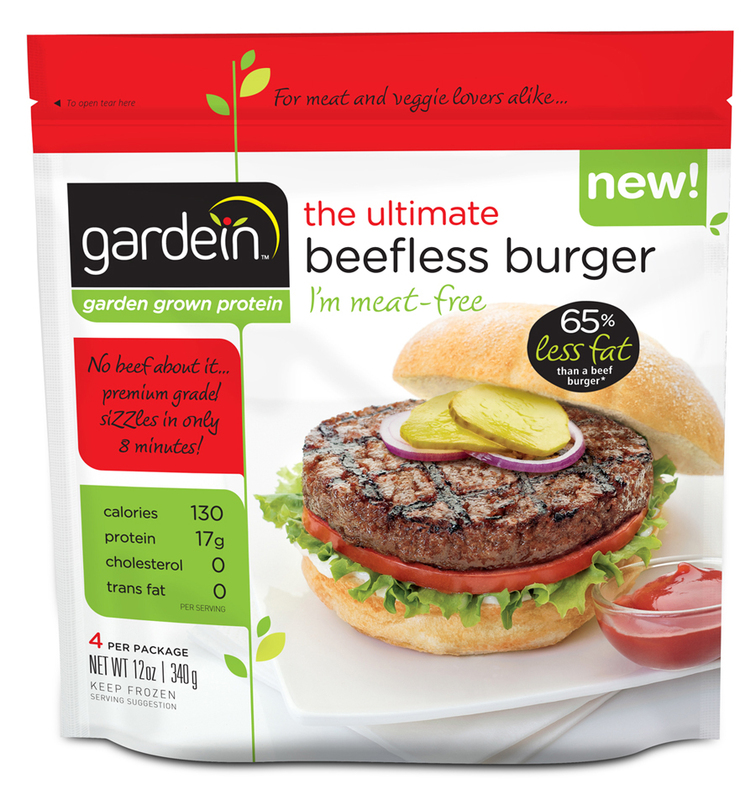 – Brush frozen gardein burgers with some of the teriyaki sauce. Grill over medium heat, turning every minute for 4 to 6 minutes, brushing with teriyaki sauce frequently. – During last minute of cooking, place a slice of cheese on each burger and melt. – Grill pineapple slices over medium heat until caramelized, about 1 minute per side. – Toast cut side of hamburger buns on grill over medium heat. 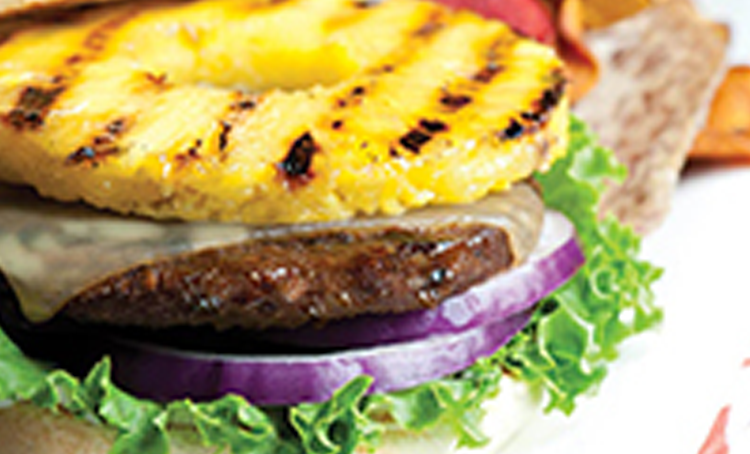 – Assemble burgers by spreading some of the mayonnaise on bottom hamburger bun, topping with a piece of lettuce, a few slices of onion, gardein ultimate burger patty and a slice of grilled pineapple. – Drizzle with a little of remaining teriyaki sauce before capping each burger with a hamburger bun top. Serve immediately. Chef Tip: Mirin is a sweetened rice wine that can be found in the Asian or international section of your grocery store.